How do you react when you see a baby? Do you say hello, play monkey or perhaps change the tone on your voice. 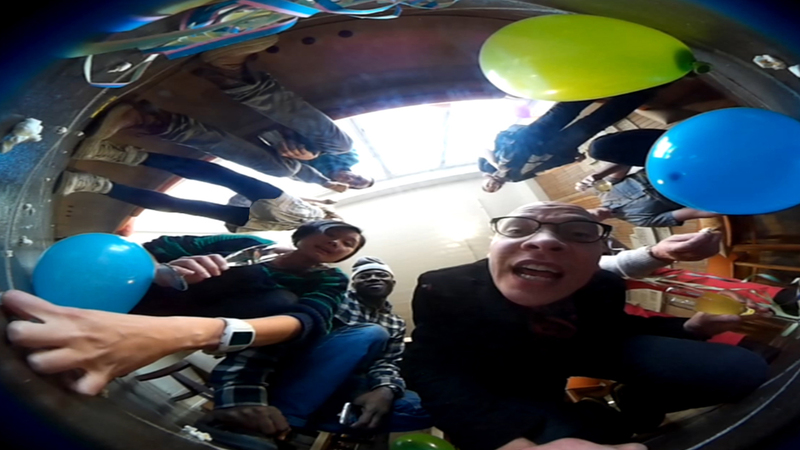 Through the 5min long Oculus Rift video “Aren´t you supposed to smile?” You can experience a party situation from the perspective of a newborn baby. Being carried in his mothers shoulder the baby meets different characters. Some give him life advice and other openly evaluate his looks. Almost everyone wants a baby to react back at them in a positive way. In the early years every child’s life is not only led by adults, but also by whatever baggage they carry. Original title: Aren’t you supposed to smile?